The 8th of March is celebrated as Women’s Day the world over. We celebrate the spirit of womanhood this day and give women a reason to smile and be appreciated for their efforts. This is their day, a day of recognition, a day of unhindered happiness, a day to truly appreciate them for a life of unconditional and dedicated care, and a day to remind people that these souls are the reason that we continue to exist in the world today. Women are the life source that cradles every child and nurtures it to become the person who shuns them and treats them badly. They definitely don’t deserve this. To be a woman is the most special feeling in the world. Not only are you capable of achieving the seemingly impossible, but also overcoming any obstacle that comes your way. Did you know that the UN’s official theme for 2016 is “Planet 50-50 by 2030: Step It Up for Gender Equality”? Women have broken the social barriers and come out as great leaders, inspirational personalities, entrepreneurs and role models. There is nothing that has been left unachieved by women. They are in no way inferior to men. In fact, women are not only running shoulder to shoulder with men, they have raced ahead and come out as achievers. 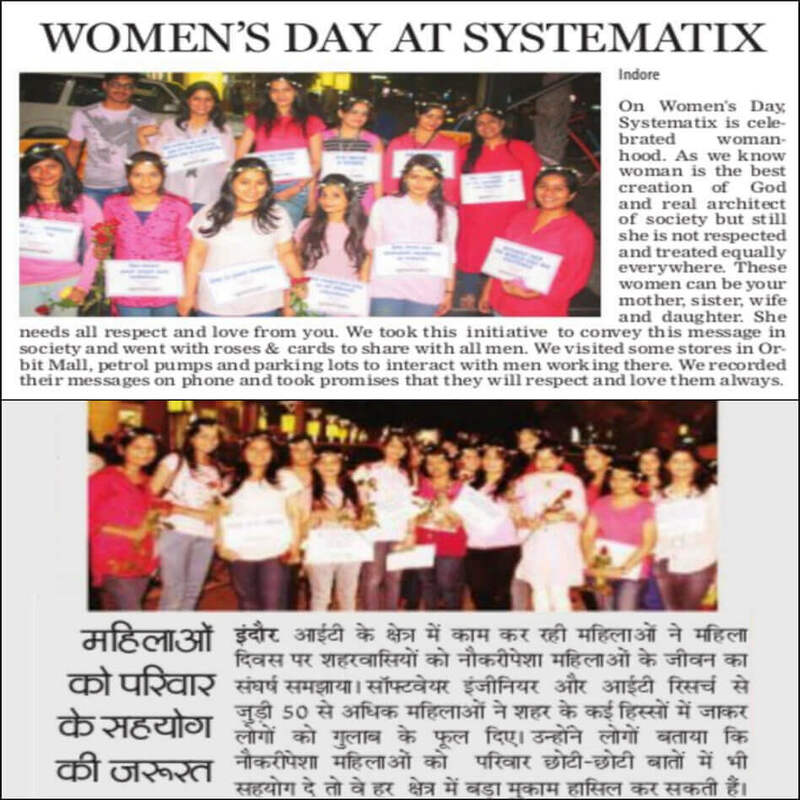 Systematix supports the spirit of womanhood and encourages them to step up to the challenges and come up in life. They deserve love and respect. For all their efforts, you need to acknowledge their sacrifices and appreciate what they do for you every day. 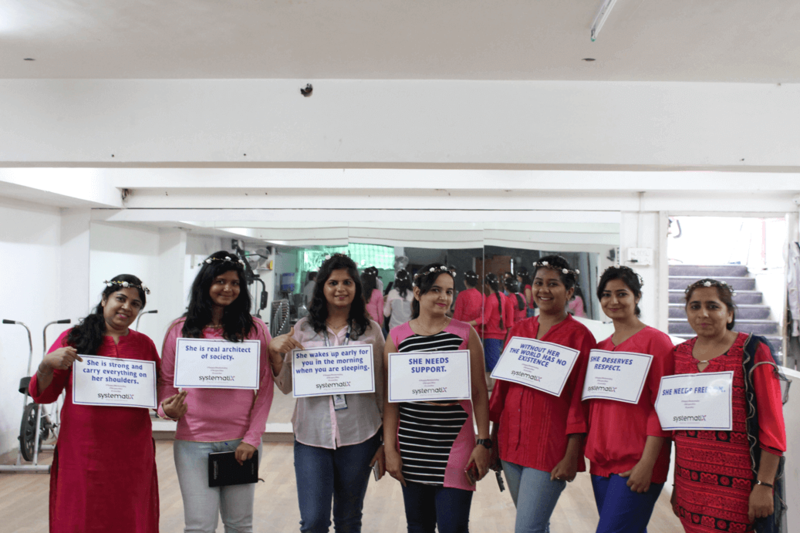 The women at Systematix started the day by making a special video which conveyed the importance of women and the role that they play in life. This video was a genuine attempt at communicating a powerful message to everyone out there. Women are an important part of your life. You may not even notice that the convenience that you take for granted is the result of HER hard work. 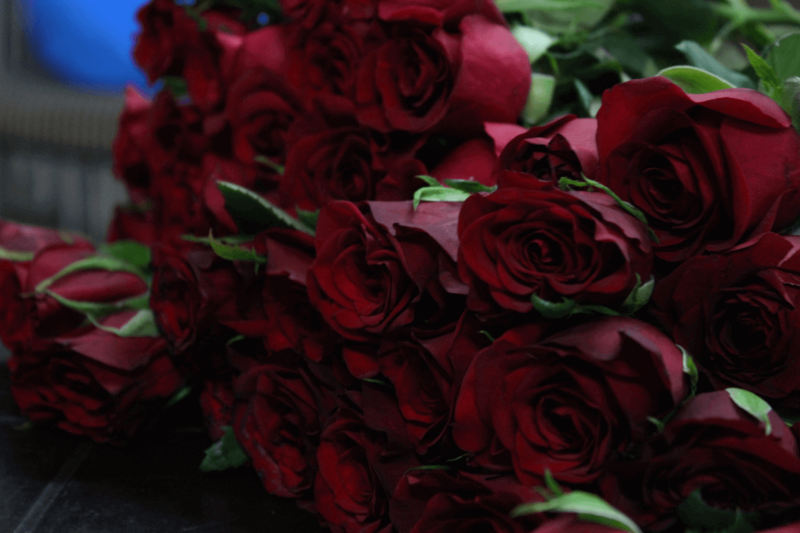 That’s not all, they distributed roses to all the men in the office and asked them to give it to the woman that they admire the most. This was certainly a great way to make the day special for women by encouraging men to show their appreciation for them. 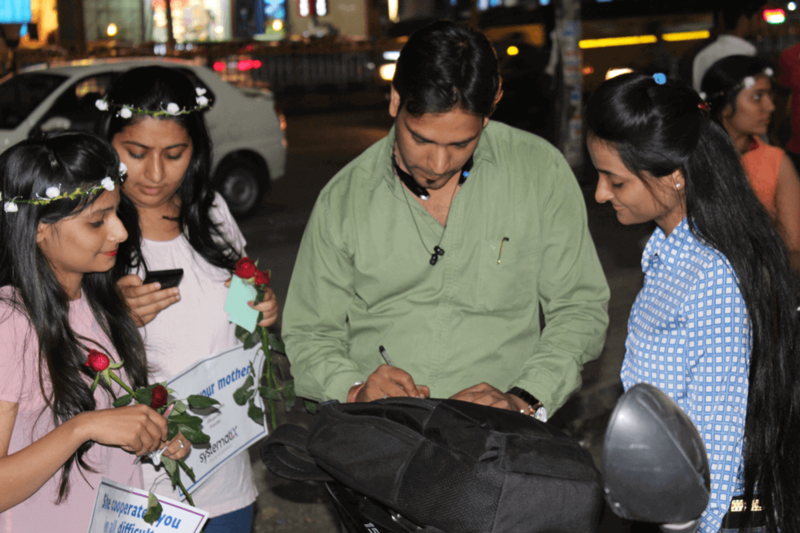 Yes, team Systematix reached out to people in the nearby areas. They put up interesting quotes and shared the message with people that they came across. 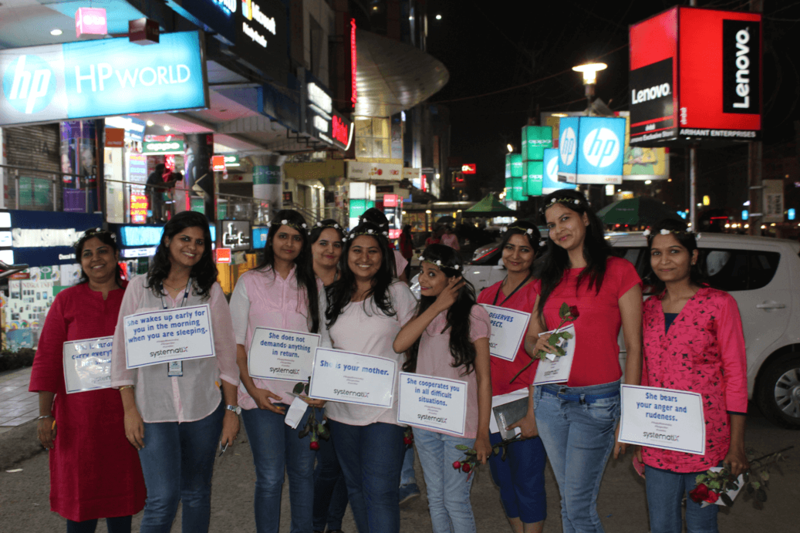 As part of this campaign, they distributed roses and promise cards to the men as a gesture that they will respect women not only on Women’s day, but every single day. This went pretty well as you can see from the various promise cards. And that’s not all. 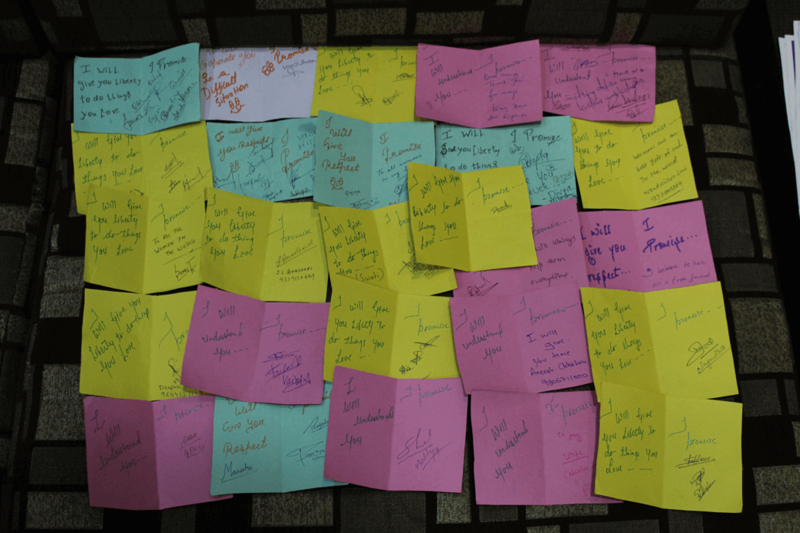 The team also asked a few men to record voice messages for their mothers, sisters, wife and all the ladies in the house. This was a sweet gesture which everyone seemed to like a lot. 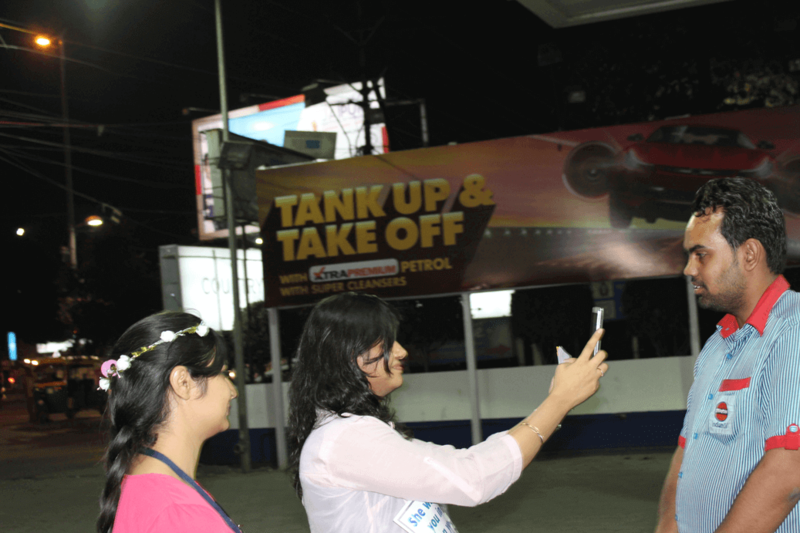 The team reached out to people on the road, in stores, at petrol pumps and other places. They tried their best to reach out to as many people as possible so that they could get the message across effectively. 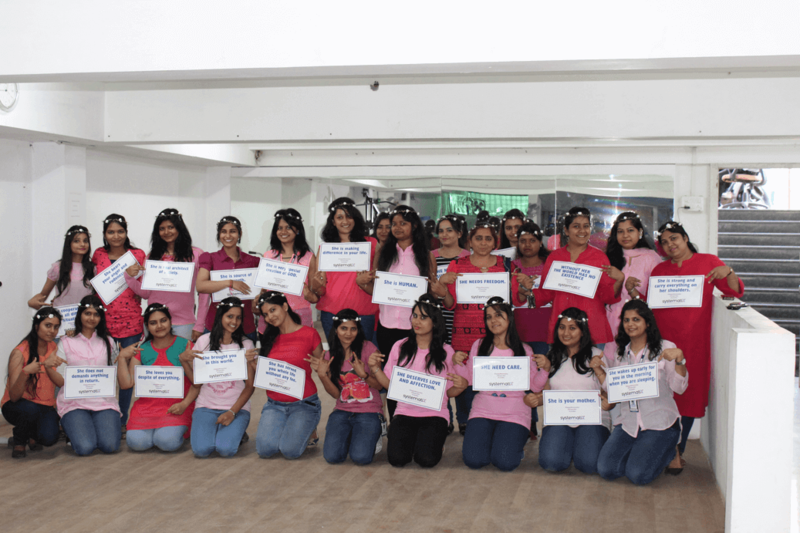 It was a lovely sight to see the ladies all dressed up in pink, wearing tiaras, and sharing a powerful message in the best way possible. Kudos, to the team for taking such a beautiful initiative on Women’s Day. Two newspapers covered the entire campaign and published an article about the entire initiative. Now this is a truly well-deserved achievement. This campaign has just shown that women only need to get up and be the change that they want to see. The power to change the world resides in them. Only when they discover the diamond in themselves, can they unleash their entire potential and earn their rightful place in the society. « 40% of Productivity Gets Lost by Multitasking. How to Avoid It?